Christie's left-handed catch didn't win him the admiration of the crowd. 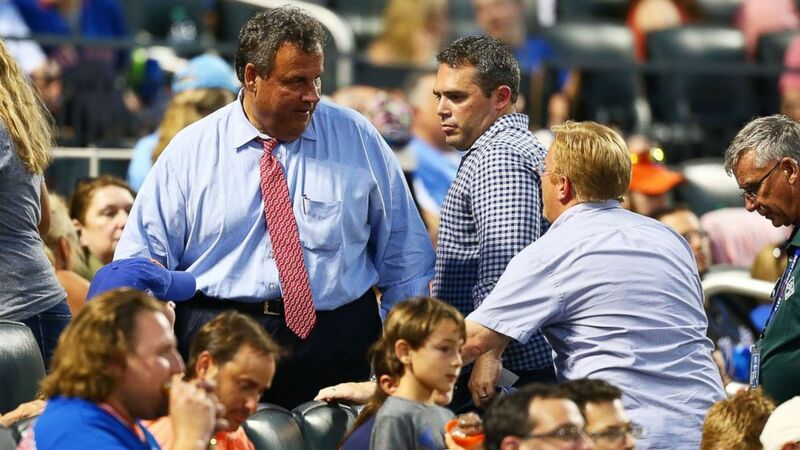 New Jersey Governor Chris Christie's left-handed catch of a foul ball at a Mets game last night didn't earn him much admiration from the crowd. The Mets were in a 4-0 hole playing the Cardinals on Tuesday when Christie caught the foul ball. Christie then got up, shook some hands and handed off the ball to a young boy a few rows back. (Mike Stobe/Getty Images) Governor of New Jersey Chris Christie attends the game between the New York Mets and the St. Louis Cardinals at Citi Field, July 18, 2017, Flushing, New York. It was a pretty solid catch, but that didn't stop Fox Sports announcer Dan McLaughlin, who was calling the game, to poke a little fun at Christie's beach shutdown controversy from earlier this month. "Nice to see him get from the beach here to the ballpark," he said. Then, in a moment captured on video by sports pundits and fans, the crowd at Citi Field in New York booed him. McLaughlin's comment refers to photographs of Christie enjoying one of New Jersey's beaches with his family during the Fourth of July holiday weekend when many were closed to the public due to a government shutdown. The Mets went on to lose last night's game 5-0.